Praise the gods. I thought I heard that the devs didn't want to make another one. I've heard it's heavily inspired by Thief, and there won't be any jumping, leaning, or swimming. edit: I'm calling it now. This game will be about an entirely new set of characters in an entirely new setting, with the only common strand between this and the original Dishonored being The Outsider. Not really, because it has some links to the original game. Like it'll have bone charms, and an empire, and it will have some heavy references to whales, even though they'd all been chased out of the oceans about a year before. I think that's a pretty good call Renz. 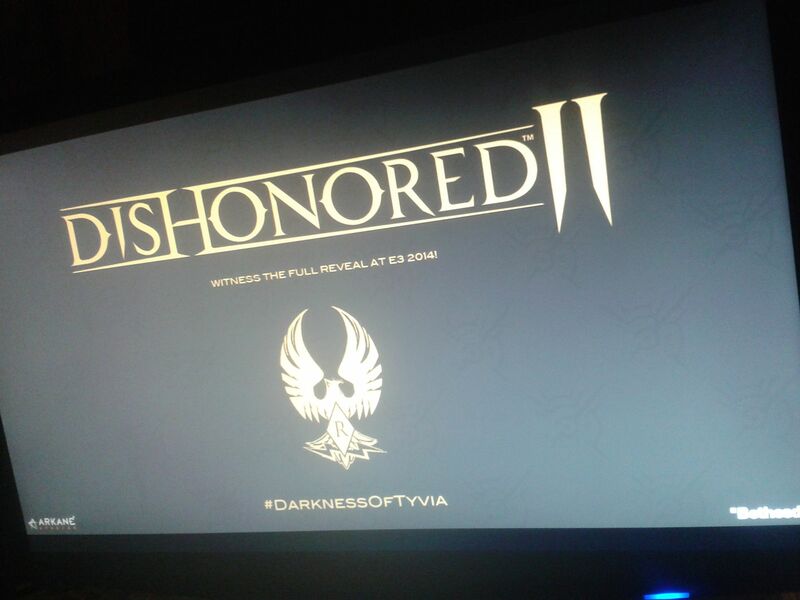 Not sure how I feel about this myself, as I think they got Dishonored right first time, with no need for a second. Then again, I was very pleasantly surprised by the two Daud DLCs, so maybe they can keep up the quality. But I do also wish that Publishers would give up this whole insistence that all new IP must exist as the foundation of a franchise. The guys who made Dishonored showed astounding creativity, and made a place that felt genuinely new, whilst simultaneously hitting numerous cultural touchstones with subtle adroitness. I'd rather have them apply that talent to another new title. According to their wiki, Tyvia is "the northernmost island in the Empire of the Isles, and it's climate is persistently cold." They should do some kind of Skryim crossover/alternate timeline.